Overall, mammography is the most effective screening tool used today to find breast cancer in most women. The prevailing recommendation is that women start going in for annual mammography exams between 40 and 50. 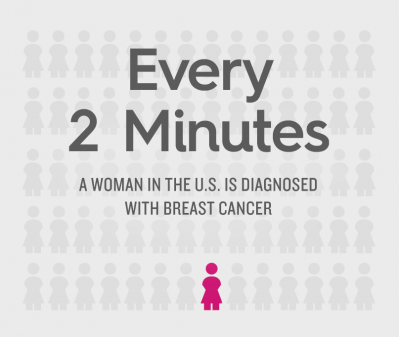 Ask your doctor when you should start going in for mammograms and how often you should return. What’s the difference between a 3D exam and a 2D exam? A 3D exam is a new technology that takes multiple images of breast tissue to recreate a 3D picture of the breast. Traditional mammography typically obtains a single image. 3D mammography is particularly beneficial for women with dense breast tissue because it provides a clearer picture. Do I have to get a 3D Tomosynthesis mammogram? No. You can opt to have a traditional 2D mammogram if you wish. 3D exams are the standard of care at the GVH breast center and if you choose to have a 2D exam instead, you will be asked to sign a form indicating your desire to have a 2D exam. Will insurance cover the cost of my mammogram? Yes, most insurance companies cover the cost of one mammogram per year. 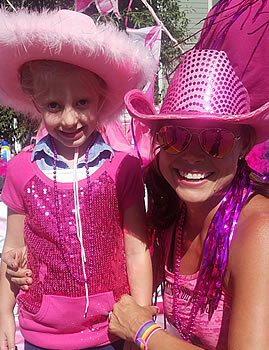 For anyone who is uninsured, Tough Enough to Wear Pink can help cover the cost (visit How to Get Assistance for more information). Will a 3D Tomosynthesis mammogram cost me more? It depends. Some insurance companies do not yet cover the additional costs associated with a 3D exam. GVH will work with your insurance company to get the full cost covered, but if your insurance company does not agree to cover a 3D exam, the additional out-of-pocket cost is roughly $60. Do I need an order from a doctor? No, mammography is one of the only modalities that you do not need an order from a doctor on. GVH just needs a physician to send the report to. Is there a difference in radiation exposure between 2D and 3D? Yes, 3D mammography does expose the patient to a slightly higher dose of radiation, however, 3D mammography reduces the need for a callback mammogram which can mean further exposure. The radiation from a mammogram (2D or 3D) is significantly less than that from a typical CT exam.